February is the month of transition. While we still see frequent cold snaps, weather starts to take a turn towards the warmer direction. It’s the time of year when you can start to dig out your shorts and sandals and feel like you live in Florida. As of late the weather has been mild. 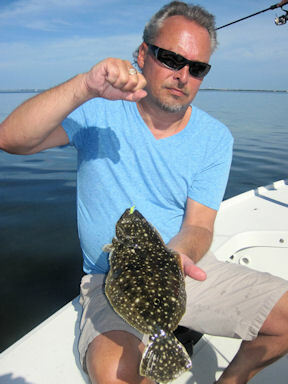 This has brought us some great fishing on the flats of Tampa Bay. Snook fishing is already staring to kick off as fish move from the deeper water into the flats in search of food. Finding bait has been a chore but there is some bait starting to show up in deeper water. Find the bait and you will catch fish. Trout fishing has been hit or miss for me but when you have these mild weeks it really gets the Trout fired up. Big Gator Trout have been hard to find consistently but I’ve had some luck targeting the deeper creeks leading out to the flats. These same fish I believe will move onto the shallow flats as water temps continue to climb.